One of rock n’ roll’s most venerated guitar gods, ULI JON ROTH, will release a very special live performance from the Nakano Sun Plaza Hall in Tokyo, Japan on December 16, 2016 via UDR Music, entitled Tokyo Tapes Revisited – Live In Japan. The performance is a celebration of Roth’s classic work with the Scorpions, and was recorded on February 20, 2015 at the same venue as the band’s classic 1978 live album Tokyo Tapes. Roth was a founding member of the Scorpions in 1973 before leaving to pursue a solo career in 1978 with his own Electric Sun. As the recognized creative heartbeat of the Scorpions, Roth achieved worldwide fame for his unique guitar and song-writing talents, in turn causing him to influence a plethora of modern guitar giants such as Kirk Hammett of Metallica, Billy Corgan of The Smashing Pumpkins and Steve Vai. 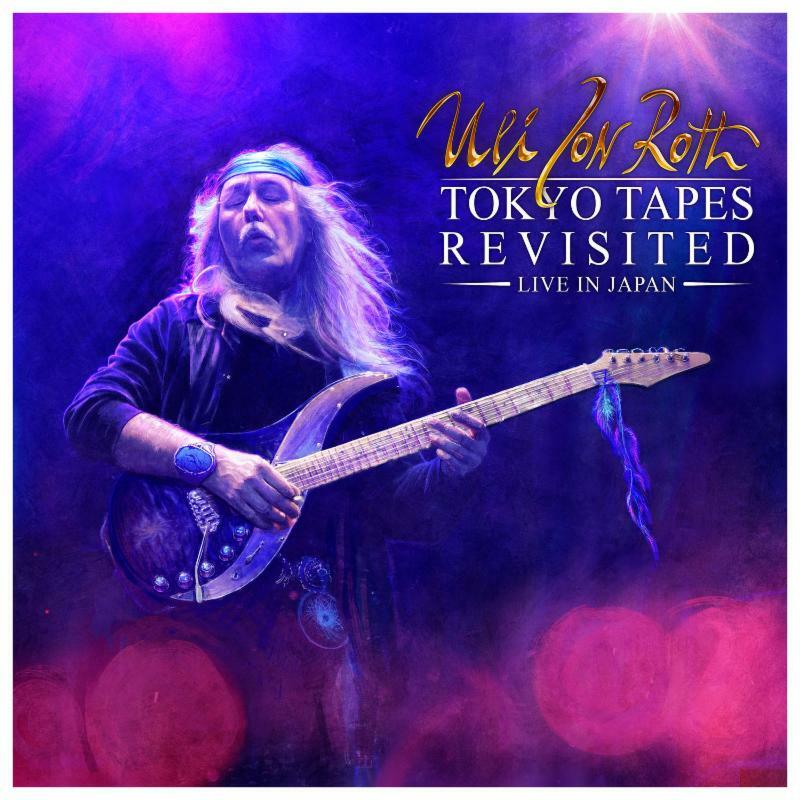 1 – Video & audio recording of Roth’s Tokyo concert in a BluRay digipak containing one BluRay video disc and two audio CDs. 2 – The same as Product 1 only in a DVD digipak. 3 – A digital audio copy of the Tokyo concert. 4 – A super-deluxe boxset, limited to 800 copies. It will be a proper, lid-off shell box containing 4 heavyweight vinyl LPs of Roth’s 2015 Scorpions Revisited release which has never been released on vinyl. There will also be an 80-page, gatefold, hardcover 12″ book which will house 8 discs – 1 BluRay concert main-feature, 1 bonus BluRay disc (which will contain the original footage from the first Japanese Scorpions Tour 1978, shot personally by Roth on his Super 8 Camera), 2 audio CDs of the main Tokyo concert and 4 bonus audio CDs of Roth’s Osaka and Nagoya dates on the same Japanese tour. 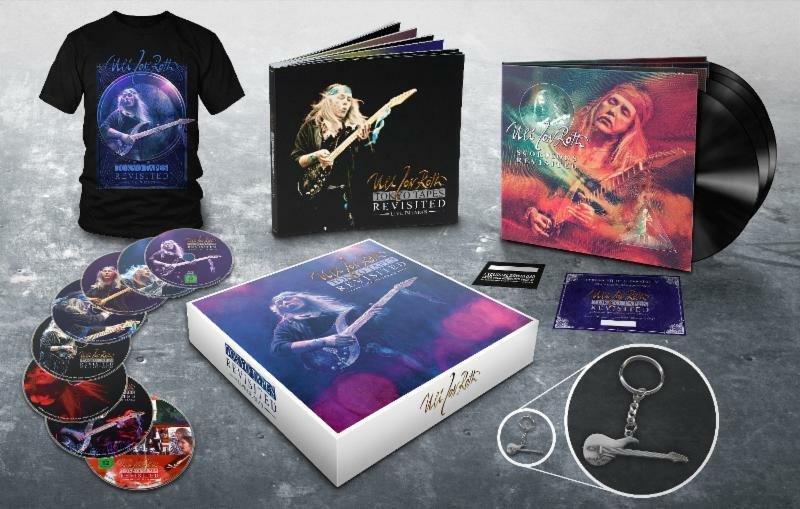 The set will also include an ULI JON ROTH replica guitar key-ring, a t-shirt, and a signed certificate of authenticity, numbered and signed by Roth himself. Pre-orders for Tokyo Tapes Revisited – Live In Japan CD/DVD and CD/BluRay versions are available via Amazon at the previous hyperlinks, and digital is available via iTunes with Virgin Killer instant grat. See below for an image of everything included in the super-deluxe box set, which is available exclusively via UDR Music’s web store here. For more information on ULI JON ROTH‘s and this set, please visit www.ulijonroth.comand www.udr-music.com.